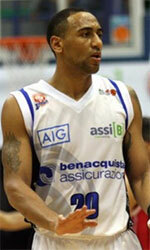 Zonkeys de Tijuana (CIBACOPA) inked 26-year old American center Leon Gibson (206-111kg-91, college: Houston). It is actually his comeback to Tijuana Zonkeys as he has played here before. 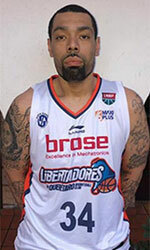 Gibson played in the summer at played at Libertad in Paraguayan Metropolitan League. He managed to play in three leagues in three countries last year (!!!). Gibson helped them to make it to the final after they ended regular season as second best team. He also played for Tijuana Zonkeys that season where in 21 CIBACOPA games he averaged impressive 15.1ppg, 9.2rpg and 1.6apg. He was also selected League Player of the Week. Gibson is a very experienced player. He has quite traveled the world as his pro career brought him to five different countries on three different continents (Europe, Latin America and of course North America). Gibson has played previously professionally in Canada (The Storm), France (Aubenas), Uruguay (Hebraica), Mexico (Pioneros Los Mochis and Ciudad) and NBA G League (Rio Grande Valley Vipers). He attended University of Houston until 2013 and it will be his fifth season in pro basketball. Gibson's game is described as: Athletic post player who brings size and athleticism.. Talented scorer who can hit shots from the inside and the outside... Runs the floor well... Has tremendous potential... Hails from an award-winning junior college program. NBA body with a knack for rebounds and finishing strong.